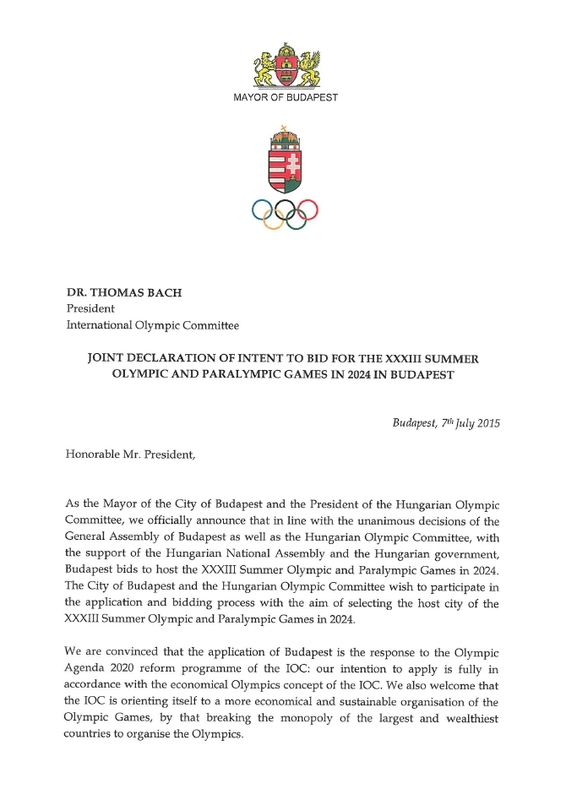 In a letter to International Olympic Committee (IOC) President Thomas Bach, Budapest mayor Istvan Tarlos and Zsolt Borkai, head of Hungary’s Olympic Agency, declared that the city of Budapest is officially bidding for the 2024 Summer Olympic Games. 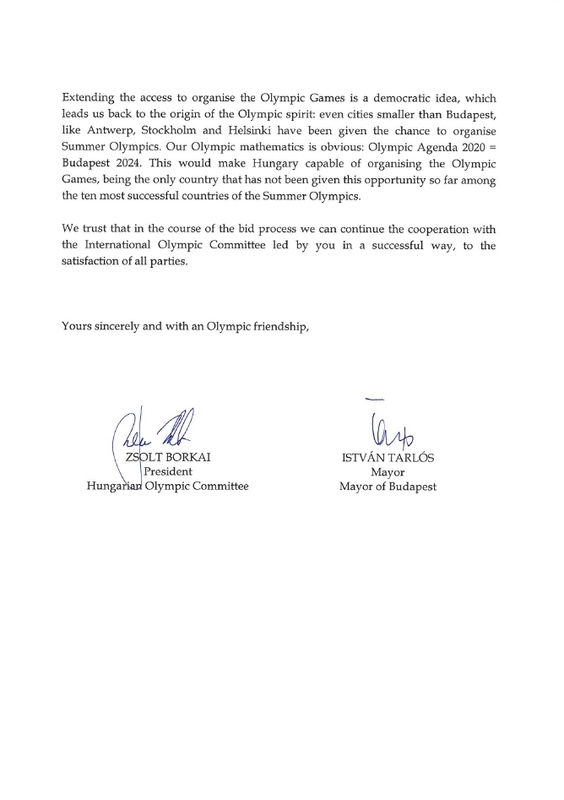 The letter, published Wednesday, said “the City of Budapest and the Hungarian Olympic Committee wish to participate in the application and bidding process with the aim of selecting the host city of the 2024 Olympics”. The letter also said that Hungary was alone among the 10 most successful countries in the Summer Olympics yet to host the event and also highlighted the IOC’s efforts to cut organizational costs with its “Olympic Agenda 2020” reforms. Tarlos and Borkai added, “we also welcome that the IOC is orienting itself to a more economical and sustainable organization of the Olympic Games by that breaking the monopoly of the largest and wealthiest countries as hosts”. He said if smaller cities such as Antwerp, Stockholm and Helsinki could also organize the summer games, so can Budapest. Budapest now joins Boston, Paris, Rome and Hamburg as declared candidates for the 2024 Games. After successfully hosting the first European Games, Baku in Azerbaijan is also poised to enter the race. The deadline to submit bids to the IOC is September 15 and the host city will be chosen in 2017.